Fun entertainment for fairs, carnivals, festivals, block parties, parades and more. Having kids, teens, and adults running around with beautifully painted faces will definitely add a little magic to the air of your event. Heads will turn. And smiles will be contagious. 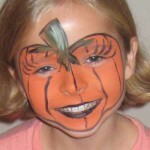 Whenever someone gets their face painted, they seem to take on an extra fun-loving personality that is truly infectious. Wouldn’t it be nice to add this energy to your community block party, fundraiser, festival or fair?